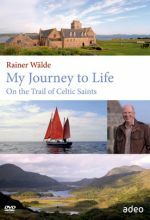 Following the success of his multi-award-winning documentary film, My Journey to Life, Rainer tells the stories of four major Celtic saints, with narration by Roy Searle of the Northumbria Community. Set out with Columbanus, regarded by some as the ‘first European’, on his incredible journey that will take him from Bangor in Northern Ireland to Bobbio in Italy. Relive the story of his companion, Gallus, who founded a monastic cell on the banks of Lake Constance out of which emerged a great religious and cultural centre that became the present day town of St. Gallen. Receive fresh inspiration from the beautiful music and soul-stirring prayers of the Celtic tradition. Discover the great legacy of the Irish monks and accompany Rainer on a moving journey to the source of life. 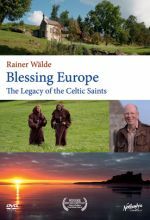 Blessing Europe: Legacy of the Celtic Saints is a DVD documentary that takes the viewer on an enlightening tour through Europe, in the footsteps of early Cletic saints. Central to the journey are the stories of four renowned Celtic Saints, including Columbanus and his companion Gallus, founder of a monastic cell on the banks of Lake Constance. An incredible and moving account of the contributions Irish monks have brought to the Christian faith, Blessing Europe is an inspiration, highly recommended especially for Christian personal and church library DVD collections. The fascinating history of Celtic Christianity's spread through Ireland and the British Isles—and into Western Europe from the 6th through 8th centuries—is told in this documentary by author and filmmaker Rainer Wälde. 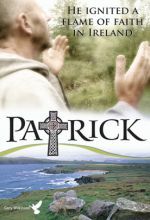 With the story of Irish monk and missionary St. Columbanus as a narrative anchor, Wälde follows the paths and legacies of several Irish saints, showing how they brought their own brand of faith into European areas where there was often disunity among Christians (and resistance by non-Christian religions). Those spotlighted include Aidan, who established a monastery on the island of Lindisfarne; Pirmin, born in Spain but heavily influenced by the Irish in his work in the upper Rhine and Danube regions; Magnus, who set off for Bavaria; and Gallus, one of 12 missionaries who left with Columbanus for Europe but eventually broke with him. Columbanus' story begins with his leaving Bangor, Northern Ireland, in 583, determined to spend the rest of his life creating monasteries and Celtic Christian communities far and wide—which is precisely what he did in France, Germany, Switzerland, and Italy, leaving behind a lasting legacy. Wälde effectively combines dramatic re-creations with comments from interviewees who explore Columbanus' impact on European history. Highly recommended.